Twenty-five-year-old Reality Leigh Winner remains in jail after a federal judge denied her bail in a case where she is alleged to have sent classified information to the media. Winner faces up to 10 years in prison if convicted. Winner's prosecution comes at a time when the Trump administration has been faced with numerous leaks of sensitive information. The White House has stepped up efforts to identify leakers. And the Justice Department has also vowed to crack down on them. The Obama administration similarly took a hard line on leakers, prosecuting them more aggressively than any presidential administration in the last 40 years. Winner is the first person to be criminally charged for leaking by the current administration. Research has found that people are willing to blow the whistle when they believe that their organization has engaged in "corrupt and illegal conduct." They may also speak up to prevent larger threats to cherished values, such as democracy and the rule of law. Law professor Kathleen Clark uses the phrase "public interest disclosures" to refer to such leaks. 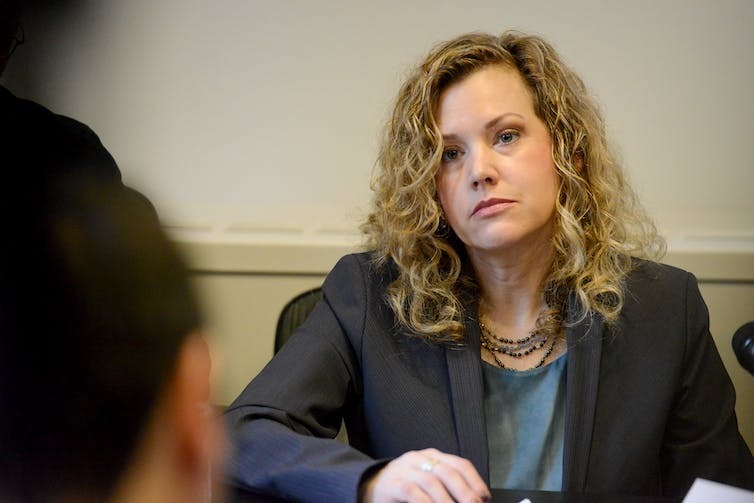 The case of Jesselyn Radack illustrates the ethical concerns that go into the decision to leak publicly. Radack served as an ethics advisor in the Justice Department under President George W. Bush. When American John Walker Lindh was captured in Afghanistan in December 2001, allegedly fighting on behalf of the Taliban, Radack advised the department that interrogating Lindh without allowing him to have a counsel present would violate attorney ethics rules and could jeopardize his prosecution. Her advice was ignored. When Lindh was criminally charged, prosecutors were supposed to turn over any internal communications about the case. But Radack found that her earlier emails concluding that Lindh's interrogation was unlawful had "disappeared from the office file while the Justice Department was under a court order to produce it." This led Radack to believe that the department had failed to turn over the information. As a result, Radack leaked the relevant emails to Newsweek. After Radack's legal advice became public, the government agreed to a plea bargain with Lindh. Lindh would serve 20 years in prison instead of the "three life sentences plus another 90 years" that he could have gotten if he lost at trial. Radack faced significant personal challenges as a result of leaking. She was the subject of a criminal investigation (though never formally charged), underwent a 10-year-long professional disciplinary investigation by the bar and was even placed on a security watchlist that "triggered secondary searches at every airport." Radack went on to have a career specializing in providing legal representation to others charged with making unauthorized leaks. Ultimately, Radack's work in whistleblowing earned her a major award for protecting the First Amendment. Radack's disclosure was limited to a single case. But some of the most controversial leaking cases in recent years have involved what law professor Margaret Kwoka has termed "deluge leaks" that disclose huge amounts of data at once. Edward Snowden, for example, leaked "hundreds of thousands of top-secret documents" relating to government surveillance programs. 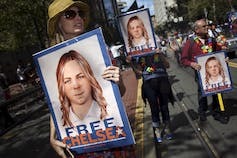 Chelsea Manning, a U.S. army soldier, also leaked hundreds of thousands of documents, including classified diplomatic cables, "to reveal what she believed were atrocities on the part of the U.S. government." Manning spent more than seven years in prison, while Snowden sought refuge in Russia to avoid prosecution. Both Snowden and Manning expressed a commitment to ethical ideals. However, I would argue that because of the broad scope of their leaks, the disclosures had the potential to cause greater harm than more limited leaks - an important factor that scholars weigh in when measuring the ethics of leaking. According to political science professor Jason Ross Arnold, for example, Manning's disclosures may have helped enemies "plan targets and develop strategies" to harm Americans. The U.S. government also spent millions of dollars trying to rebuild intelligence assets in the wake of Snowden's revelations. Attorney General Jeff Sessions has said that "it will probably take some convictions to put an end" to leaks from the Trump administration. But a look at the motivation of leakers suggests that criminal prosecution alone will not plug the flow of leaks. Radack, Snowden and Manning have all said they were aware they could face serious consequences for leaking. But they were willing to take that chance because they thought it was more important to expose what they saw as serious wrongdoing. The threat of criminal or professional sanctions did not deter them. Encouraging internal whistleblowing may be a more effective way to prevent leaks. Researchers have found that a robust internal process may be a key factor in preventing leaks. It is common for people to try to work within the system before leaking to the public. It is when higher-ups acknowledge illegal conduct but refuse to do anything about it, or when individuals suffer retaliation for bringing concerns up the internal chain of command, that leakers may believe that the only ethical choice is to go public. We don't know Reality Winner's motivation for leaking or whether she will face criminal consequences for her alleged leaks. But when the decision to pass on information stems from a sense of ethical obligation, leakers will often accept serious personal risks to bring that information to the public. Cassandra Burke Robertson is the Professor of Law and Director of the Center for Professional Ethics at Case Western Reserve University. This article first appeared in The Conversation.